In the 1950s and 60s, Americans were fascinated by the idea of flying cars and jetpacks that would let people soar above the traffic. But it wasn’t just the average commuter who was supposed to benefit from these space-age technologies. 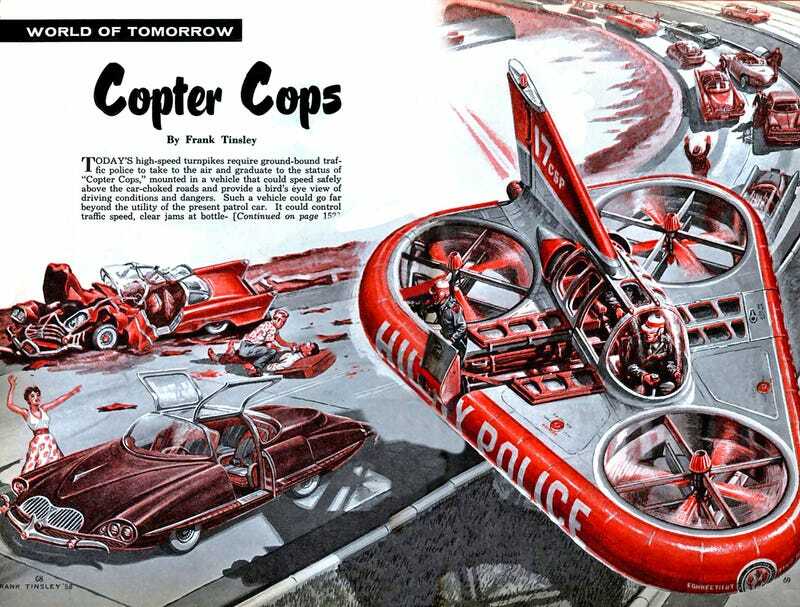 Emergency responders like police and ambulances were going to take to the skies to help save lives, like in this illustration from legendary retro-future artist Frank Tinsley. Tinsley was a popular illustrator for periodicals in the 1950s and 60s, showing people of that era what could be in store by the 21st century. The illustration above appeared in the November 1958 issue of Mechanix Illustrated magazine and demonstrated how a futuristic patrol car might come to the rescue by hovering over the traffic that was ensnarled below. The “flying platform” that the article refers to was being tested by the U.S. military in the 1950s. The platform was strange and ultimately never saw the battlefield, but that didn’t stop popular illustrators like Tinsley from imagining how they might be modified for the future. 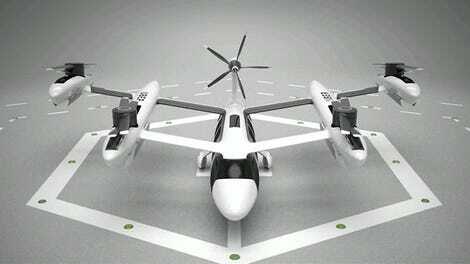 Until then, these copter cops are relegated to the future that never was. And it’s probably for the best. Have you seen what American cops are doing with the tools they already have? The last thing they need is more advanced technology.